Assumpta Castillo Cañiz graduated in History (2011) and was awarded a Master Degree in Contemporary History (2013) at the Universitat Autònoma de Barcelona (Bellaterra, Spain). In 2015 she obtained a scholarship from the Casa de Velázquez (Madrid, Spain) and received a research scholarship from the Instituto de Estudios Altoaragoneses (Huesca, Spain). The work of Assumpta Castillo has focused on the study of revolutionary processes and intra-community violence in the Spanish Civil War rearguard, as well as in the analysis of the discourse and the fabric of collective alternatives to the western capitalist model during the second part of Nineteenth Century and the first part of the Twentieth. However, the study of the forms of action and mobilization of the left had finally led her to the analysis of the right wing reaction in its practical and cultural forms. In October 2017 she begins her PhD in Padova with a scholarship linked to the PREWArAs Project – “The Dark Side of the Belle Époque. Political Violence and Armed Associations in Europe before the First World War”. 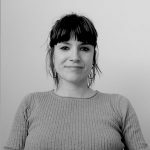 Her PhD thesis will investigate the organised political violence in three Spanish (regions of Aragón, Castilla and Extremadura) and two Portugal enclaves (regions of Alentejo Central and Bragança).